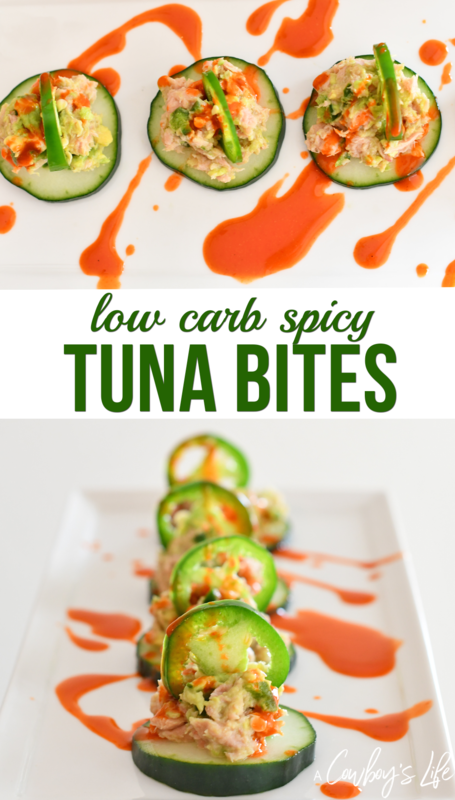 These quick and easy spicy tuna bites are great for snacking or a meal and are made in under 10 minutes! 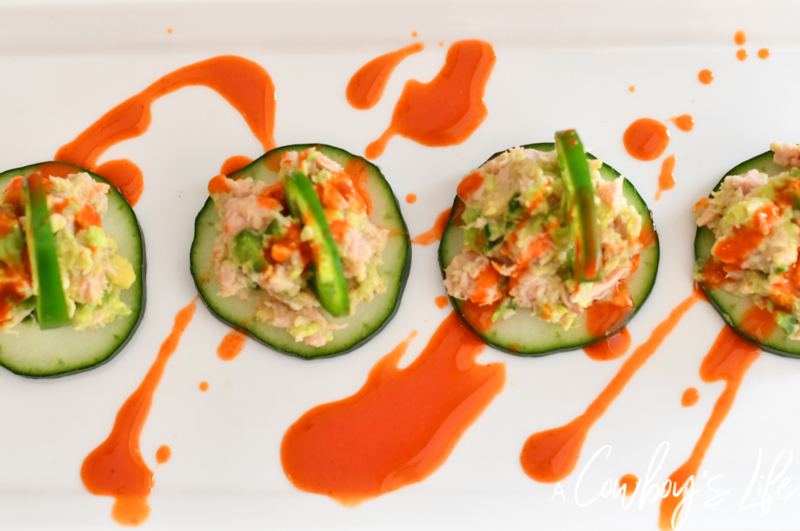 Simple and easy recipes are THE best! Less time spent in the kitchen and less clean up afterwards. It’s a win win really. I also enjoy meals that I don’t need to turn on the oven – just whip it together and bam, lunch is served. I eat tuna about 3 days week for lunch because it’s so quick and I always keep several pouches in the pantry at all times. Like anything you eat frequently, it can get tired and boring. So by adding a a few extra ingredients you can turn any lunch into a gourmet meal. 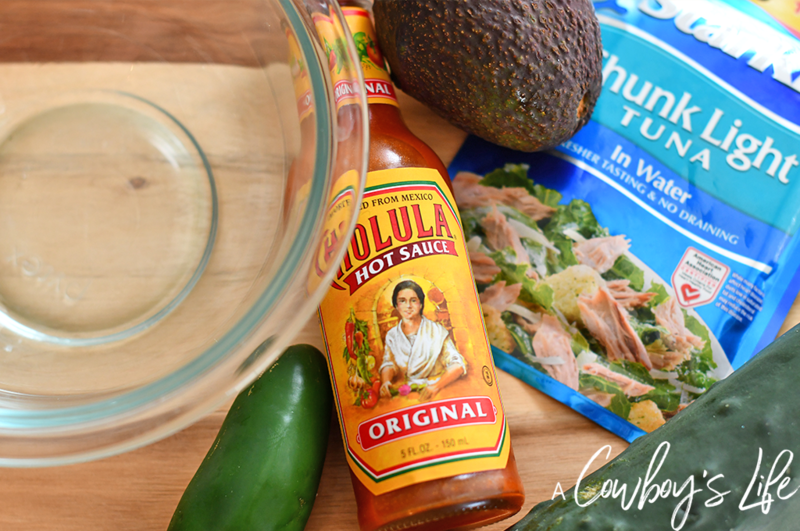 Mix together the tuna, avocado and minced jalapeño. 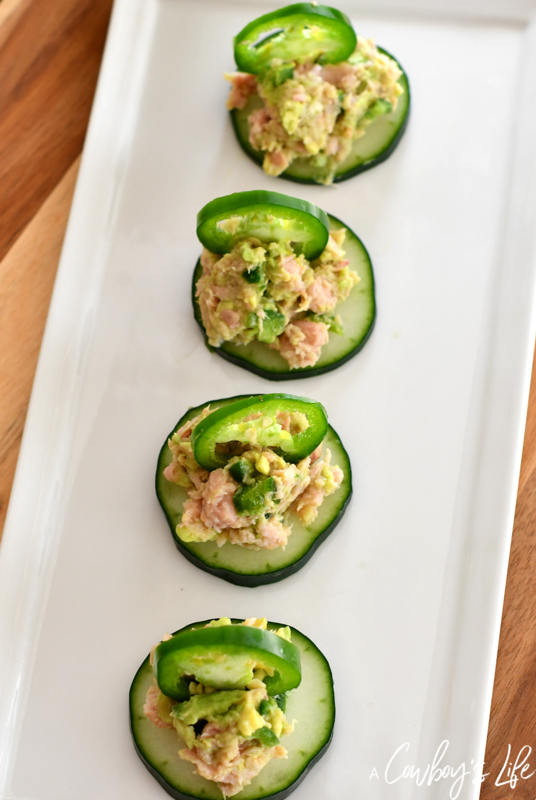 Top tuna mixture onto cucumber slices.